A minister has defended the Government’s hands-off approach to vulture funds, saying they are easier to deal with than banks. Junior finance minister Michael D’Arcy says that, in his personal experience, funds who buy up distressed mortgages are interested in doing deals with homeowners. The tranche of non-performing loans being offloaded by Ulster Bank have a face value of €1.4bn and include 2,300 residential mortgages. The sell-off comes hot on the heels of a similar move by Permanent TSB, who have done a deal with another American fund, Lone Star. The Government is facing criticism that it is allowing banks to outsource their dirty work to companies that are not subject to the same regulatory standards. Independent Alliance Minister Shane Ross has also described the activities of vulture funds as “unacceptable”. However, Mr D’Arcy told the Irish Independent that some analysts are taking a view of the situation that is too simplistic. 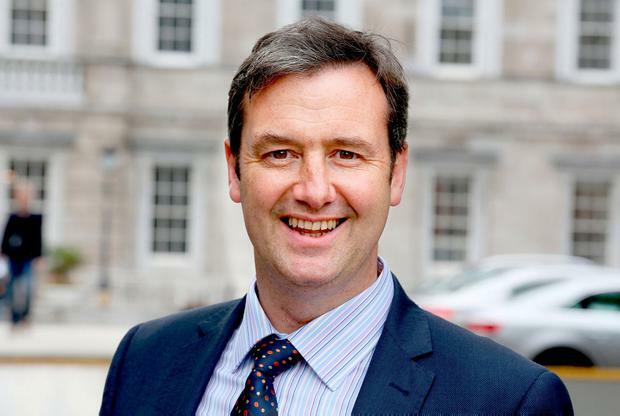 The Wexford TD, who works alongside Finance Minister Paschal Donohoe, questioned the prevailing view that vulture funds are more likely to seek repossessions. “I think it’s probably overstated. They have a different business model than the banks. “Going back to my time on the Oireachtas Finance Committee, I remember we asked Richie Boucher [former chief executive officer of the Bank of Ireland] why they do write-offs for commercial customers but not private people. The response was that they don’t,” Mr D’Arcy said. In relation to the Ulster Bank move, the minister said the Government cannot intervene as the bank is owned in the UK. However, he noted that there had been 17 pieces of “regulations or guidelines” introduced in the area since 2011. “That’s one every six months to protect homeowners and mortgage holders,” he said. Fianna Fáil’s finance spokesman Michael McGrath criticised the minister’s comments, arguing that while vulture funds do deals, “that typically results in the loss of the home”. “If people want a restructure of a mortgage, such as changing to a spilt mortgage, they’ve a far better chance of getting that with a bank,” he said. Mr Ross has said he will be supporting a bill brought forward by Mr McGrath that will impose regulations on vulture funds who buy up Irish loans. He said the Independent Alliance had already supported a bill that had come to Cabinet with the aim of keeping people in their homes. “It’s something deeply regrettable to me that people’s mortgages are now being regarded as commodities when in fact people depend on them for their livelihood and to remain in their homes,” he said. Previous articleBrendan Keenan: Can Ireland have national health without an NHS?